Shmuplations has translated an old 1997 interview between Mega Man X4 developers Yoshinori Takenaka (Producer), Koji Okohara (Planner), and Ikki Tazaki (Designer). 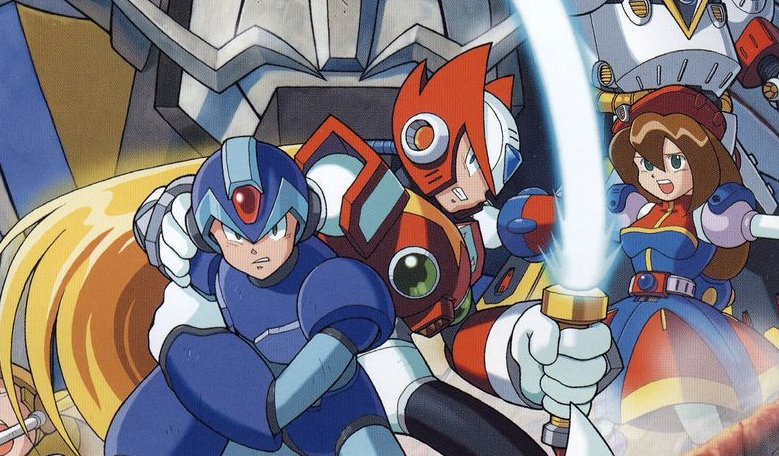 The three talk about the project's origins, creating and implementing a fully-playable Zero, how the X series connects to the classic series and, perhaps best of all, the crazy parties that busted out during development. Okohara: Looking back at X3, we felt there wasn’t enough difference between the way Zero and X controlled, so we we tried to really distinguish them this time. Zero only gets his sword. And there’s no “charge” ability for his weapon, either. Takenaka: I remember the vast majority of the developers were against that decision at first, actually. Okohara: Yeah, his sword doesn’t have any reach, and they thought it would make the game too difficult. To address that, we raised his attack power and added Street Fighter-style moves, so he feels completely different from X. Head over to Shmuplations for the full read! Okohara: "The world of Mega Man X is not the strictly determined future world of the original series. It’s merely one possible future, or parallel world. There’s a character that resembles Dr. Light in the X series, but whether they’re the same person or not, we leave ambiguous." I wonder if that is still a possibility. I mean, Mega Man: The Power Battle and Mega Man 2: The Power Fighters both pretty much have the biggest clues to the X series. Classic could possibly never tie into the X series, if this thought process hasn't changed. Also, Keiji Inafune doesn't work at Capcom anymore, so they could theoretically retcon something he said. "X is a possible future, not the actual continuation"
so theoretically speaking, in the Mega Man X timeline classic Mega Man never existed and X is indeed the first Mega Man. how does Wily play out in this situation, is he just pissed at Dr. Light and created Zero for no reason other than kicks, did they even know each other? what about Serges's line about "being defeated by the memento of Light"
Technically speaking, it'd still work. Knowledge of X being built by Dr. Light could just be treated as a historical footnote. A bit like how Thomas Edison in present day wouldn't be seen as anyone significant because probably all of us have light bulbs in our home nowadays. "This is the guy who built X. His name's Dr. Thomas Light." Kinda crazy to hear they originally had no plans to go beyond X3. I'm really glad they did. If only there was a way to go back in time and openly congratulate these guys for all their hard work. "The world of Mega Man X is not the strictly determined future world of the original series. It’s merely one possible future, or parallel world. There’s a character that resembles Dr. Light in the X series, but whether they’re the same person or not, we leave ambiguous." On a serious note, this opens up a ton of possibilities if it's still the way Capcom looks at MMX, and potentially explains a few things. What possibilities does this open up? This interview is from 20 years ago. If Capcom still considered this an explanation we wouldn’t have had the books that explain the time line and how each game fits in that. This is trash and shall never be spoken of again. "Also, to strengthen our theme of “Robots and The Future”, we decided not to include any humans this time. Even in the single city scene, it’s nothing but Reploids." That seems like an odd thing to do. Humans still exist in X's timeline and are mentioned from time to time, though other than Dr. Cain we see none of them anywhere (because they're weak and would easily die around Mavericks and Mechaniloids blah blah). At least Iwamoto included humans in his manga iteration. Actually, yes, in the R20+5 book, they said that Zero and Command Mission are "possible futures" ocurring in the same time, the 22XX. Y'know, I felt that way when that "fully playable Zero" MMX3 hack initially came out. I was excited to give it a go at first but quickly realized "oh yeah... he pretty much just plays like X". I'm glad they decided to give him such a major overhaul for X4. Also it sounds like they had a lot of fun developing this game lol.